Three little people who constantly ask me when we are going to adopt a baby! When I announced our plans to adopt, I mentioned that I would revisit the subject of funds. Adoption costs a great deal of money—when we began gathering information, I was stunned to learn that domestic minority newborn adoption generally costs around $30,000—and that’s on the low end for adoptions. I thought we might have to give up right there, because we don’t have that kind of money sitting in the bank. But I learned that very few adoptive families go into the process with all the cash on hand; almost no one can afford to adopt without help. That help comes in the form of adoption loans, special grants, and fundraisers in which family and friends and community get to be a part of bringing a child home to his forever family. And that is one of the beautiful things about adoption, I think: not everyone is called to adopt a child personally, but anyone can be a part of this lovely story. And there’s no such thing as a small part; every gift is needed, and every gift helps. If you’re wondering why in the world adoption is that expensive, I wondered that too. Adoption is an intricate process (as it should be, to protect children and birth families and adoptive families). The costs include a home study, background checks and clearances, and family profiles which are essentially a portfolio about your family (this is what the birth mother examines as she is choosing a family). Once we are matched with a birthmother, we will begin to pay the fees due to her adoption agency—which cover varying amounts of medical care and testing, housing and food, counseling and social work, hospital delivery costs, and legal fees. Finally, there are legal fees for the finalization of the adoption after we bring our baby home. It’s a lot of money, but it goes to make sure that everyone involved is safe, cared for, and supported. Where are we in this process? We have spent about $6000 of our own savings so far on the home study; background checks and clearances; designing, printing and shipping profiles; and our adoption consultant’s services. We have raised about $6500 thus far on our fundraising page. To those who have already given there, thank you so much! We’re so grateful. We currently still have about $21,500 to go to meet our fundraising goal. And that brings me to this coming weekend (February 1st): a dear friend is putting on a fundraiser for us! She is hosting a winter ball for the second year in a row and has decided to donate all proceeds each year to the adoption of a local family—and we are that family this year. She is incorporating several creative fundraising options at the ball, including a silent auction featuring some fantastic items that other friends have donated. And it will be a fun evening with music, some dancing, hors d’oeuvres, a photo booth, and time with friends. If you live close enough to come, we would love to see you! If you aren’t local, or can’t come but would still like to help, we’d love that too. You can donate directly to our adoption at AdoptTogether.org/theKinnards. Every gift helps! We’d be honored and grateful if you would partner with us to help bring a baby home to join our family. 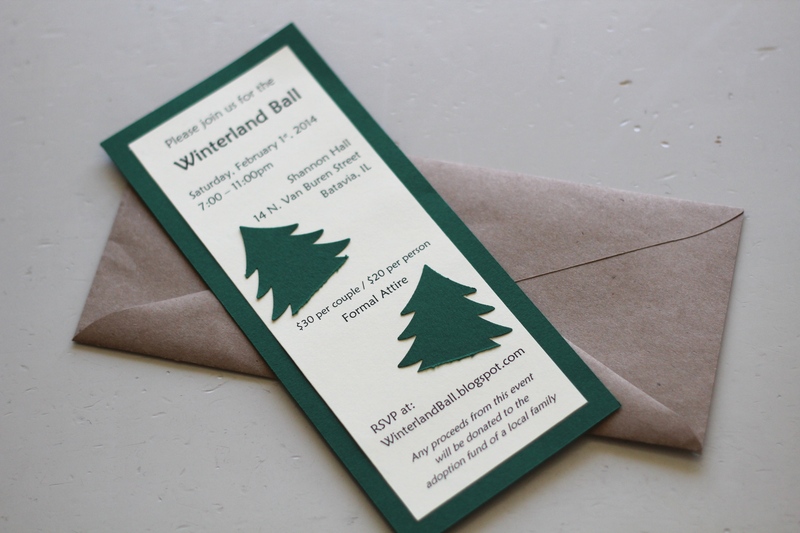 Here is the link to the WinterBall event page, where you can learn more and RSVP. Once, I read to dream: to imagine adventures I wanted to have and lives I wished I could have led, to envision the kind of person I wanted to become, to fill my mind with the kinds of words I wanted to claim as mine. Now, I read to know I am not alone. I used to hate sad endings. I actively undermined them in my mind, inventing alternate happy endings and rehearsing them until I felt better. The inexorable logic of the tragedy I had just read would still haunt me, but I satisfied myself that my ending was better—was, in fact, the ending that should have been written. Estella should marry Pip. Leslie must not drown crossing the creek to Terabithia. Juliet must wake up in time. Those were the right endings. And so they are—but the problem is that the universe is all wrong, and those endings reflect the real state of things in a world where people disappoint us, and children die, and time runs out. They don’t reflect the only truths of life. But they hold the mirror up to the ugly features that we don’t want to see when our own hearts are happy, and that we must contemplate when they are broken. For a while, after the bottom fell out of my world, I could not read at all. There was too much space in reading; too much silence in which the horror of what had happened to me could start screaming in my ears. I drowned it out with TV shows, episode after episode, until one day I felt enough strength to pick up my dog-eared college copy of Hamlet. “Oh God,” he gasped, “How weary, stale, flat and unprofitable seem to me all the uses of this world.” And I felt a shock of gratitude: someone understands. This time-travel novel moved me profoundly. Willis’ depiction of the Black Death is unsparing. But from that gruesome accuracy she draws touching insights about courage in the face of suffering, compassion that looks past statistics to find real people, and the ache of unanswered prayers for relief and rescue. I have been reminded in the last year of how much pain our grandparents and great-grandparents and distant ancestors endured. Comfortable societies and modern medicine can make us lose sight of the fact that we are mortal, and the world is a hard place. But past generations could not so easily forget. There’s nothing particularly deep or thought-provoking about this one. It’s just a witty mystery told in hilariously hard-boiled style by an ordinary lawyer who stumbles into amateur sleuthing. I thoroughly enjoyed it. I have tried a number of books on sorrow and suffering in the last few years; this is one of the few that I didn’t want to throw at the wall. It was recommended and given to me by a dear friend who has suffered her own deep losses, and reading it felt like an ongoing gift. Sittser describes what grief is really like; if you know, or want to know, I highly recommend reading this. This memoir is touching, beautifully evocative, often funny, sometimes heart-rending, and deeply wise. The interlaced stories are rooted in Haack’s childhood landscape and family, lovingly but also objectively rendered. I loved the writing; sadly, the book suffers from very poor copy-editing which enraged this former English teacher because the writing deserved much better. I persevered in spite of it; if you don’t have a habit of reading books with red pen in hand, you probably won’t be bothered by it! I hope this book is more carefully edited and reissued, because it deserves a wide readership. I had read Hamlet at least three or four times before, and it might as well have been in the air and water in my childhood home; my English-professor dad taught it every year and probably quoted from it even more than from Pride and Prejudice. Though I don’t have it memorized, its cadences are almost as familiar to me as breath. But last year, for the first time, I felt that I was reading Hamlet from the inside: instead of looking on askance at his raging, I looked in his eyes and ached with his words, and I knew exactly what he meant. This is another re-read, and another book that meant much more to me the second time around, about 10 years after I first read it. I finished re-reading it shortly before my world collapsed, but it stayed with me in that darkness, a thin echo—leaving a trail of hope that there was some conception of Christianity that could still make sense even in a shattered life. I somehow avoided Wuthering Heights until last year; I didn’t expect to like it. I am much more a Jane Austen kind of girl; I like my heroines collected and thoughtful, not rain-soaked and desperate. To my surprise, I loved this novel. I found it eerie and haunting and sad, but also satisfying and hopeful. I’m sorry I put it off so long. This is cheating a bit, because we aren’t quite finished with it. But I’m afraid I won’t remember its loveliness by the time I get around to a best-of-2014 list. This was my favorite discovery in children’s books last year. I had never heard of the Milly-Molly-Mandy books, but they are sweet and simple and very pleasantly English, and my three little listeners adore them. Not much happens in the stories, and I thought my audience might be bored, but they listen raptly. The stories seem to be pitched just exactly right. There are no grand feats or adventures—just the quiet ones of everyday life in a small village in another era: running a footrace with friends, making sandwiches, going fishing, re-thatching a roof. And fortunately for me, the chapters are just the right length to read aloud while little people are eating their lunches!